1. 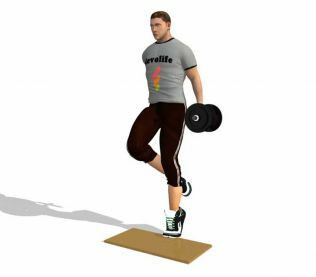 Stand on one foot on top of a small step and hold one dumbbell with one hand against the side of your body. 2. Now, raise yourself by standing on your toes and slowly lower yourself back down after a short pause. Alternate feet after your set.